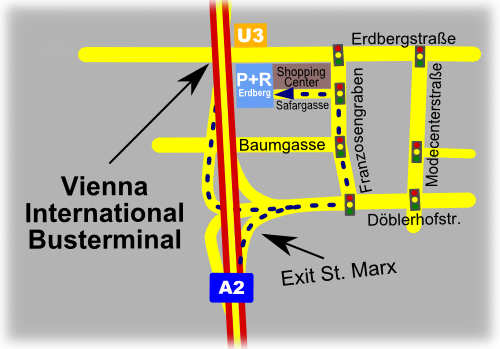 There are a lot of offers for your bus trip to Vienna. The bus ride takes approx. 6 hours from Munich and you can find some offers starting from around 20 Euro. 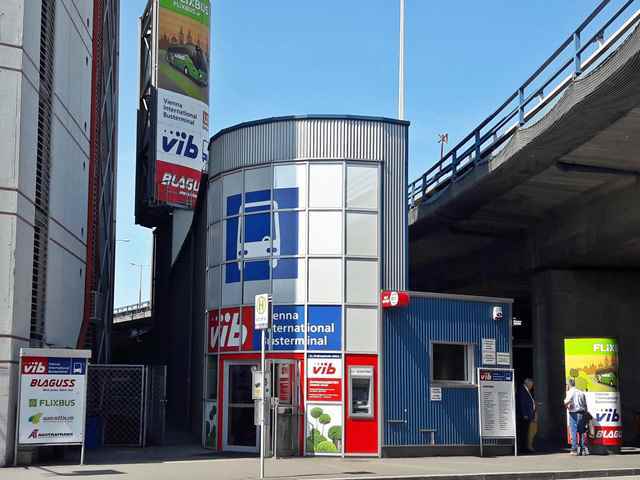 The most important bus terminals are the Vienna International Busterminal (short VIB) in Erdberg and the bus terminal Vienna Südtiroler Platz / Central Train Station. 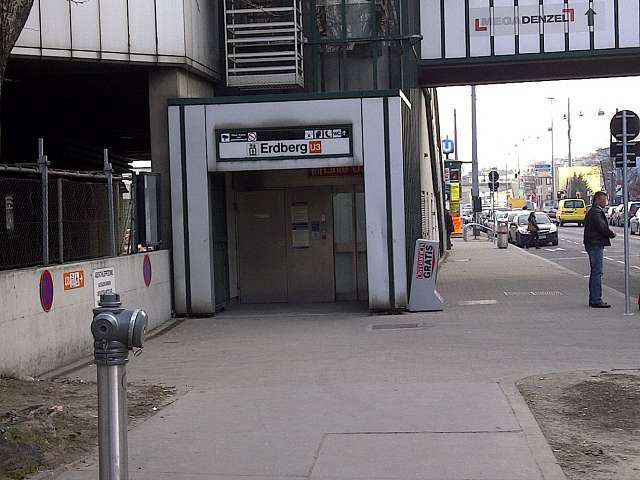 The bus terminal Erdberg (see picture with map drawing) is located directly beside the metro station from the U3 which takes you to the Stephansplatz (CD3) in the center in approx. 7 minutes. At the Südtrioler Platz you can find also a U1 metro station and it takes only around 5 minutes to the center of the city. Due to these good connections to the Vienna bus terminals you get fast to the old town after your bus trip.